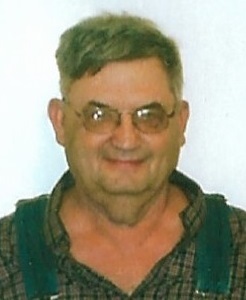 Donald L. Button 74, Rochester, Indiana, passed away at 10:10 A.M. Monday February 4, 2019 at Life Care Center of Rochester. He was born on November 22, 1944 in Logansport, Indiana, the son of Jesse Allison and Kathryn Marie (Sera) Button. On July 2, 1967 at the Metea Baptist Church, Metea, Indiana, he married Sharon Slater and she survives. Donald was self- employed in the agriculture business spreading lime on farms, delivering stone for driveways and doing extensive backhoe work. He also enjoyed working on his family farm, the same farm where he was raised. Donald served with the Indiana National Guard and in his free time, he enjoyed being with his many friends and family and loved to play euchre. Survivors include his wife, Sharon Button, Rochester, Indiana, son, Gerry Button, Metea, Indiana, daughter, Teresa Button, Rochester, Indiana, sisters, Virginia and husband Eldon Gohn, Rochester, Indiana, Lois and husband Jeff Brandon, Winamac, Indiana, several nieces and nephews. He was preceded in death by his parents, sister, Elsie Shoup, brother-in-law, Robert Shoup, nieces, Debbie (Gohn) Henley, Joyce Shoup and Linda (Slater) Teel.